The NexGen Tour featured a team of all-stars pulled from various top club teams playing all over the country. This game pits NexGen against Revolver, one of the best men’s club teams in the country. Beau Kittredge played on Revolver and is in this game, as are tons of other ultimate stars like Jimmy Mickle, Josh Wiseman, and Dylan Freechild. Some perspective: We didn’t even hold our first practice last year until April 28th, eight days from now. By the time April 28th of this year clicks over, we’ll be having our eighth practice of the season! All of that extra gym time, throws, and catches are really going to show once we get a chance to run around on the grass. The gym felt a little cramped at times, but it was awesome having the inside air to build confidence with our throws. 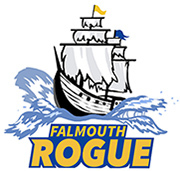 A reminder—the next practice is this Thursday and will be held in the Falmouth High School gym. This is OUR LAST INDOOR PRACTICE!!! While we might end up inside sometime due to rain, all of our regularly scheduled practices are outside on the grass. Full field games. Long hucks. Wind! It’s going to be great. Parents and players—it can be cold and rainy this time of year. Please make sure to dress properly once we get outside. Cold hands cannot catch the disc. Jerseys are ordered! We’ll be rocking FIVE Ultimate shirts. That’s the brand, not the number of shirts we’ll be wearing. That would be ridiculous. I’ll leave you with this high level game between San Francisco’s Revolver and Japan’s top club team the Buzz Bullets. Players—check out Beau Kittredge on Revolver.